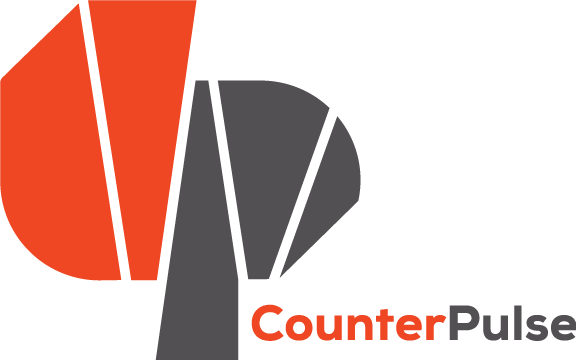 In Spring 2019, CounterPulse threads through time in the twilight between performance and uprising. Our only question is, will you join us? Need to let off a little steam? tinypistol’s Maurya Kerr and little seismic dance company’s Katie Faulkner invite you to the first tiny little get down of the new year. Founded in 2017, the tiny little get down is a dance party for people who love to dance and don’t want to have to go to a club and look cool doing it. If you’re feeling undone by our state of the union and need a cathartic space that affirms the power of the collective, come sweat, shake, get down, and revel in this subversively joyful dance event designed for all bodies. A night of video installations and performances by emerging Bay Area artists exploring ancestry and diaspora, trauma and healing, vulnerability and sexuality, and questions about our past and future. Galatea is a queer rock adaptation of Ovid’s classic myth Pygmalion. This new work, featuring an original rock score, tells a chilling and beautiful rendition of the story of an obsessed sculptor whose statue comes to life. Galatea surfaces a complex dialogue around race, gender, sexual violence, creator-as-God, bodily autonomy, and what it means to create—and control—your art. Created and directed by Nadhi Thekkek and Rupy C. Tut. Through dance and multimedia, Broken Seeds Still Grow: Taking Root links the hyphenated-American experience to the displacement of our ancestors during the devastating 1947 Partition of British India. Stories of South Asian diaspora create dance vignettes that examine the widespread fear developing towards Muslims and Middle Eastern/South Asian descent. Are we allowed to feel American, even if aren’t always welcome? Edge is an incubation residency and commissioning program for contemporary choreographers whose work is deeply curious about the intersection of art practice and social change. This year’s resident artists include Stephanie Hewett attempting to embrace the multidimensionality of pleasure in /soft/c/. This work uses various interpretations of contemporary dance forms to create critical musings on fluidity, intimacy, queer futurity, blackness, and power by examining the contrasts of marginalized bodies against hegemonic constructs. Welcome to CounterPulse’s starship Gala. Fly toward a future that keeps arts alive for humans and extraterrestrials alike. At Innerspace, raise the funds that support radical arts in the Bay Area and galaxies afar. This party is for you, our celestial community of freaky artists and arts advocates. Support experimental art by pledging and shopping at the silent auction. Admission is sliding scale and drinks are free all night! Created and produced by OX., Artistic Direction by VivvyAnne ForeverMORE!, Production Coordination by Silk Worm. Fabric Animal is a dreamscape event sewn from the personal embodied histories of Sonsheree Giles and Sebastian Grubb. We examine the self as a body-through-time, a psychological and physiological threadwork, leaving poems in its wake. We invite you into our immersive evening of contemporary dance performance and original music composition, featuring Sonsheree, Sebastian, and Caroline Penwarden. Tania Santiago, director of Aguas Dance Company presents ARRUDA, a performance inspired by the medicinal, sacred and practical gifts of Rue, a medicinal plant known for its powers to protect and make manifest that which is desired. Through live music, vibrant dance, sweet stories and songs, ARRUDA becomes healing medicine remembering the indigenous magic from the Amazon that unifies and manifests the spirits of Brazil. Uncover the underrepresented indigenous presence that holds its forest and plant/spirit’s medicines as an offering to heal the planet. Tomorrow We Inherit the Earth reveals a world that has been liberated from Western Imperialism by queer muslim guerrilla fighters, zombie soldiers risen from the dead and aliens summoned from the top of minarets. This collaborative ensemble brings together performance, video, music and fashion that will bring to life what it takes to build a revolution.